Skilled California lawyers protecting you in business and life Bezaire, Khoukaz & Babaian, APC brings the knowledge and experience of having worked for large companies and businesses to represent our clients. For more than 30 years, the experienced and caring lawyers at Bezaire, Khoukaz & Babaian have provided quality counsel and sound, cost-effective legal solutions for individuals and businesses on estate planning, probate and business law matters in Los Angeles County. Our clients receive the benefits of a big law firm approach in a small firm setting.We are here for you: Ready to help you address your legal needs and meet your goals as individuals, families and businesses. Whether in business or life, challenges arise and it is important to have solid plans. 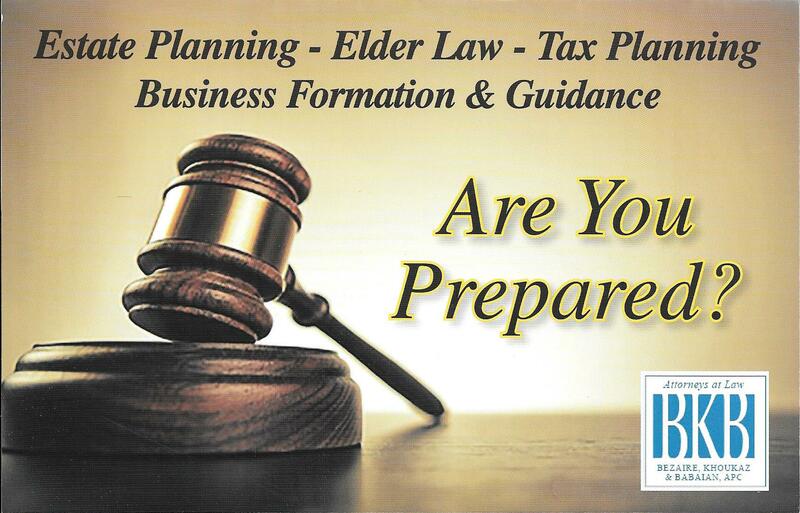 John Khoukaz and Eric Babaian are ready to help your business grow and thrive as well as to help protect you, your family and assets before an accident, disability, illness or death happens. We think of our clients as friends and believe we provide more than legal representation. We take pride in the relationships we build with our clients, sometimes over generations. We are with you through every step of the legal process from beginning to end. Dedicated to serving our clients in Woodland Hills and the surrounding communities in Los Angeles, Orange and Ventura Counties. 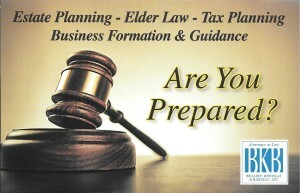 Call Bezaire, Khoukaz & Babaian, APC at 818-264-0211 or contact us online to arrange a free 30-minute consultation. Join us for our free Wills & Trusts workshops. Check back for upcoming dates.